﻿Yivli Minare Mosque or Alaaddin Mosque, commonly also called Ulu Mosque is a historical mosque built by the Anatolian Seljuk Sultan Alaaddin Keykubad I. The mosque was first built in 1230 AD and fully reconstructed for the second time in 1373 AD. 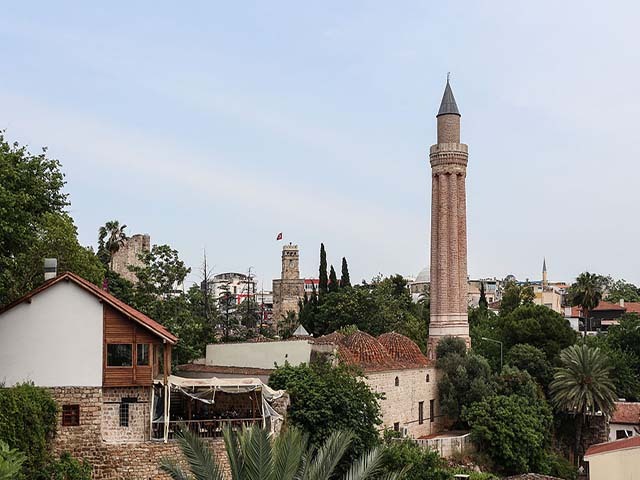 The mosque is located in Kaleiçi (the old town centre of Antalya).